This article is translated from [??????&???LOL??????] Original Source:http://lol.178.com/201412/211934066000.html Original Title in Chinese: ??EDG????Deft?PawN??????S5?? Original Title in Chinese: ??EDG????Deft?PawN??????S5?? EDG’s Korean imports (the word they use is more similar to aid or helpers. EDG’s Korean helpers) Deft and PawN appeared in EDG fan meeting in Haixinsha Island (Chinese: ???) in Guangzhou, Guangdong, China and I took this great opportunity to interview them. PawN said his main concern about Chinese food, up to now he has not yet got used to Chinese food, while two players shared the same goal – 2015 World Championship! Q: PawN, you came from Korea to China’s to expand your career. There should certainly be something that you worry about, right? PawN: Yes, my main concern is about Chinese food, so far I have not yet gotten used to Chinese food. Q: You will soon be contending the LPL professional leagues, is there any particular team you like to scrimmage with? PawN So far I don’t have any since I have been in China for just a short time. I dohave not communicated with other teams here yet, so I do not have a good understanding of the overall strength of Chinese players. Q: In 2015 season, many of the LPL teams will have powerful Korean players, while some of the young and energetic teams will also rise. EDG team has held LPL champions title since the formation of the team. Do you think the EDG can keep such excellent record in the 2015 season? PawN: Of course we can. I will definitely do my best to help EDG keeping the LPL champions title and achieve even better results. Q: PawN, what is your 2015 season goal? PawN: This seasonI joined the powerful EDG team. So of course, I would like to once again to break into the world finals and win the championship. Q: At last, can you say a few words to Chinese fans now! PawN: Thank you for your care and encouragement for me, and I will continue to work hard! Q: Deft, welcome to China. Can you tell us what have you done after the end of S4 world final! Deft: After S4 world final, I want to join a team abroad, so I kept on playing solo-queue, trying to maintain my strength and hope to further improve my skills. Q: Why did you decide to come to China? Is there any objection from your family? Deft: I decided to come to China because EDG team contacted me. EDG is very strong in China, so I decided to extend my career in China. Of course, my family was against it at the beginning, but they have to support my decision at the end (laugh). 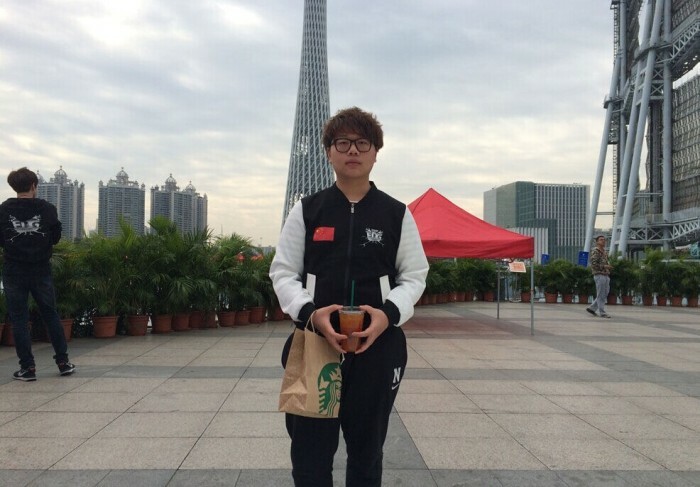 Q: Your close friend Imp has also joined team LPL in China. Have you contacted him since you moved to China? Did you have any game with him? Q: You have been in China for some time now. I heard you and Clearlove have been teasing each other in ranked games. It seems two of you are very close. Can you tell us which player would you like the most? Why? Deft: Although I have come to China for some time now, I still mostly talk to PawN since we both speak Korean and it’s much easier to communicate. I like Clearlove the most, because he is a very nice to me. Q: 2015 Season is coming up, what is your plan and goal? Deft: First I need to blend in with my team, hoping to improve coordination between players as soon as possible. Greatest objectives is, of course, entered the World Series and get the World Championship. I will work hard on it! Q: There are many Deft fans in China, can you say a few words on them!